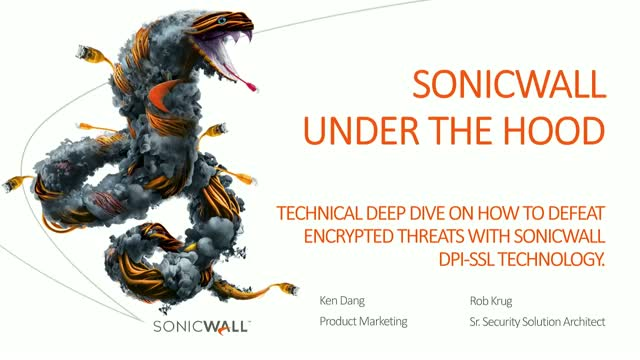 Technical deep dive on SonicWall DPI-SSL technology. With the rise in cyber attacks hiding inside encrypted traffic, it is imperative to establish a security model that can decrypt and inspect encrypted traffic without degrading performance. Title: Technical deep dive on SonicWall DPI-SSL technology.